In the end, that’s what advocates say was the key to getting a political champion and national strategy for maternal mental health in the United States. U.S. Congresswoman Katherine Clark addresses the crowd during a Stand With Planned Parenthood rally at Boston Common in Boston, Mass. on March 4, 2017. Clark introduced the Bringing Postpartum Depression Out of the Shadows Act, which passed in 2016. Katherine Clark, the 5th District of Massachusetts Congresswoman, introduced the Bringing Postpartum Depression Out of the Shadows Act, which passed in 2016. The landmark bill provides states with US$5 million in funding towards education, screening and treatment for maternal depression. “Having met with moms across Massachusetts who faced barriers to care including stigmas against seeking treatment, it was incredibly important for me to elevate this issue in the policy-making process,” Clark told HuffPost Canada. Canadian advocates would like to emulate what the U.S. has achieved to secure their own political champion. Advocates say they are fighting for a national strategy to help the upwards of 20 per cent of moms who suffer from a maternal mental illness such as perinatal anxiety and depression. They’d like to see mandatory universal screening and increased access to treatment options in all jurisdictions across Canada. Paterson was instrumental in getting one of Canada’s only provincial maternal mental health strategies implemented (though not funded) along with Dr. Angela Bowen, author of Saskatchewan’s MotherFirst report. Advocates also hope for more political backing for the Northern Ontario Postpartum Mood Disorder Project and B.C.’s Best Practice Guidelines for Mental Health Disorders in the Perinatal Period. To elevate the discussion at a national level, advocates are coming together to try and get maternal mental health onto the agenda for the 2019 Conference of Provincial and Territorial Ministers of Health taking place in Saskatchewan next spring. 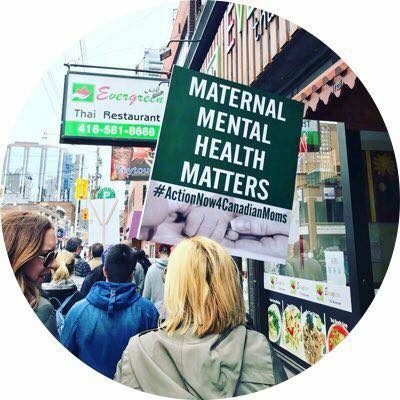 Advocates are hoping to get maternal mental health on the agenda at the 2019 Conference of Provincial and Territorial Ministers of Health. Paterson said she was elated when Greg Ottenbreit, Saskatchewan Minister of Rural and Remote Health agreed to her request, as well as to becoming the political champion advocates had been seeking. (Ottenbreit will reportedly be setting the agenda because the meeting is taking place in his home province.) However, when contacted for confirmation on both points by HuffPost Canada, Ottenbreit was tight-lipped. “While I cannot speak about what is discussed in individual meetings, we take the issue of mental health and maternal mental health seriously,” Ottenbreit said. Ministers who have confirmed to HuffPost Canada that they are ready to see maternal mental health form part of a national discussion include Alberta Health Minister and Deputy Premier Sarah Hoffman, Prince Edward Island Minister of Health and Wellness Robert Mitchell, and Newfoundland and Labrador Health and Community Services Minister John Haggie. (HuffPost Canada reached out to every provincial health minister. Some didn’t respond; others were vague in their support for maternal mental health without specifically mentioning the 2019 meeting or wanting to improve services). “The Minister would welcome such a discussion at the 2019 health ministers meeting,” Emily Timmins, Media Relations Manager for Health and Community Services in Newfoundland and Labrador, told HuffPost Canada. As for a political champion, Canada may have its own Katherine Clark in the making. Political candidate Sarah Stewart-Clark (of no relation to Katherine Clark) has been vocal about the need for improved care after suffering from depression during pregnancy and following a miscarriage. She will be representing the district of Charlottetown-Hillsborough Park as the PC candidate in the next P.E.I. provincial election in Oct. 2019. “I will absolutely be carrying my experience and those of the many women who have shared their own experiences with maternal mental healthcare with me as a candidate,” Stewart-Clark told HuffPost Canada. Zahlaway Belsito — the founder of Effie’s Grace, an advocacy firm in the U.S. for perinatal mental health — is confident Canada will succeed.